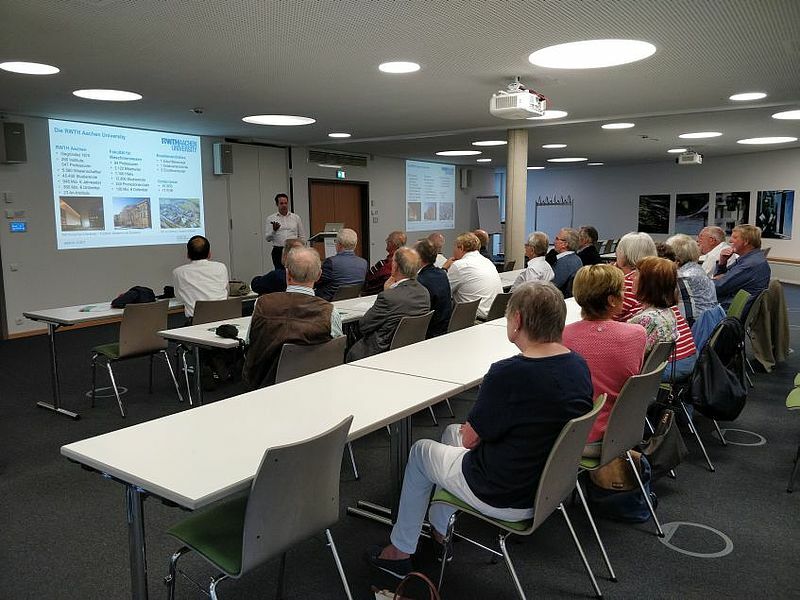 Instead of wandering into the distance as in the last hikes, this year's spring excursion on 1 June 2018 was held under the motto "Back to the roots" and, consequently, took place in Aachen. Here at the IKV's main location at Seffenter Weg on the campus Melaten Professor Hopmann led through the new buildings that the IKV moved into at the end of 2015 and introduced innovations in the various halls. After a lunch together, the 24 participating alumni visited the prototype production of the electric vehicle manufacturer e-GO Mobile AG, which is based in Aachen. Then they set out on an inspiring tour of the historic streets of the old imperial city. The day ended with a dinner with a view of the Elisenbrunnen, one of Aachen's landmarks.